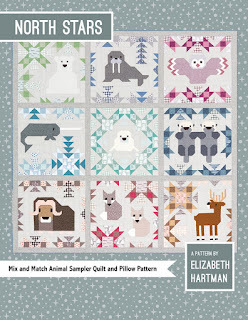 New pattern from Elizabeth Hartman - North Stars! 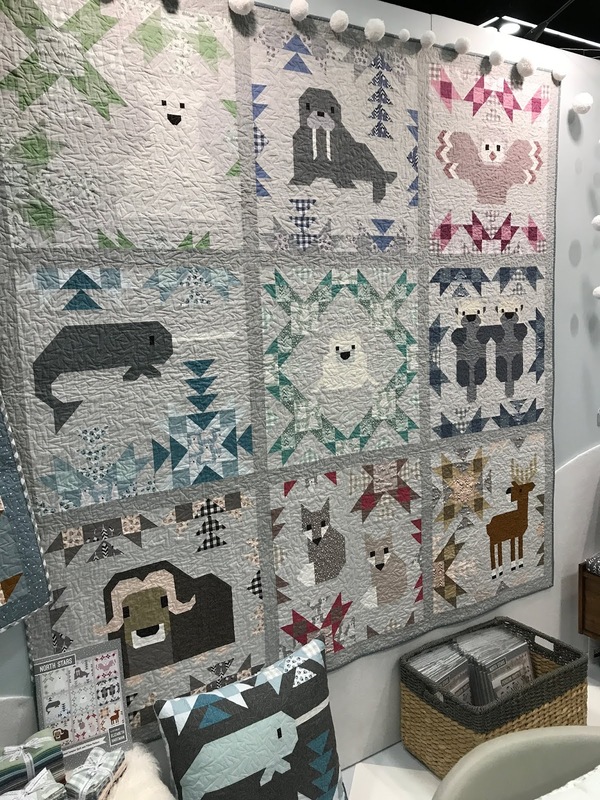 Arctic animal sampler quilt pattern featuring nine different mix and match blocks. 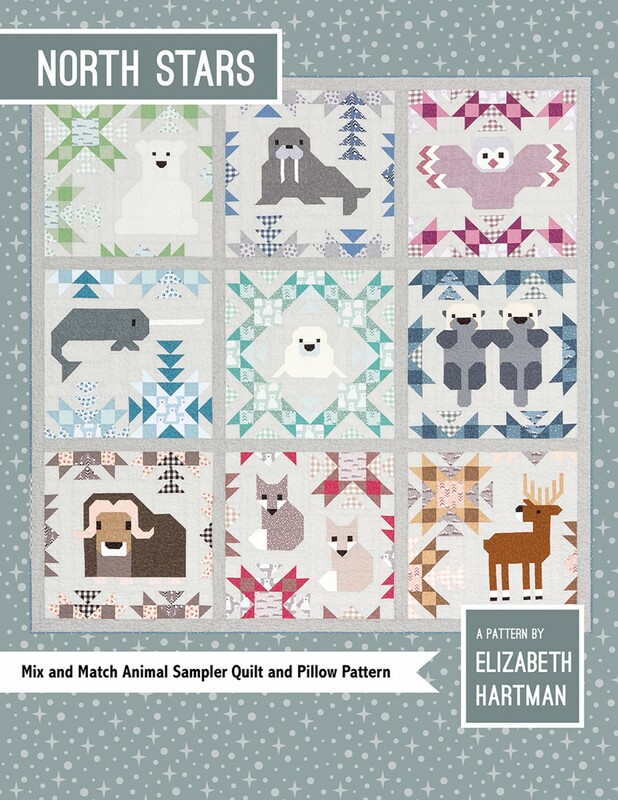 Pattern includes large quilt - 82 inches x 82 inches, small quilt - 54 inches x 54 inches and a pillow 24 inches x 24 inches. 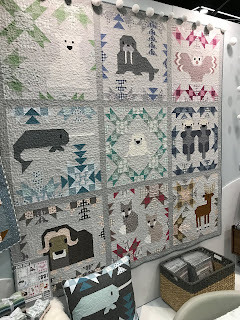 Fat eighth friendly and made using conventional patchwork techniques. 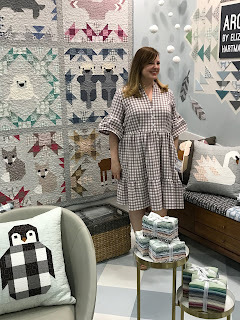 This was her booth at Quilt Market last week - she was so nice!